Whether you have chronic headaches and back pain or simply want to maintain health and wellness, we want to help you. 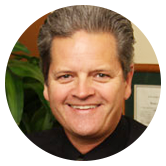 At Irvine Health Center, Irvine Chiropractor Dr. Andrew Rawlings is passionate about seeing his patients live vibrant lives through natural chiropractic care. From children and athletes to moms and seniors, all ages can benefit from his expertise. If you are new to chiropractic, you might be wondering if it’s going to be a “rack ‘em and crack ‘em” experience. Though he’s well over 6 feet tall, Dr. Rawlings gives exceptionally gentle adjustments. “My personal experience is that the easier I am adjusted, the better I respond. So, the treatments and techniques we use are all the gentlest available.” In addition to being gentle, the adjustments given at the practice are also customized to the needs of each patient. Our office is an oasis of positive energy and healing. Anything but clinical, Irvine Health Center is an upbeat place for you to start your healing journey. 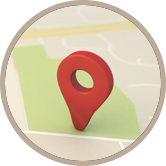 Chiropractor Irvine Dr. Rawlings and his friendly, caring staff will support you every step of the way. 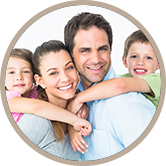 We believe that chiropractic care will add life to your years and years to your life. The first part of this is simple to understand. If you come to see us in excruciating pain, then getting rid of the pain will add some life back into your years. From a long-term perspective, if the nervous system works without interference throughout your life, then your organs and body parts are going to work better. That’s because your nervous system is like command central. It controls all the other systems like the circulatory, respiratory and digestive systems. Without properly functioning nerves, lots of things can and do go wrong. When we remove that interference in your nervous system, you’ll enjoy greater health with fewer health conditions. In short, you will have years added to your life! Restore and maintain your health without drugs or surgery. Start living a healthier, happier and more productive life by contacting us today for an appointment! Dr. Rawlings listened to all my concerns, not only in reference to my accident but also previous surgeries and hereditary spine issues, and formulated a plan of action using xrays, pictorials and his expertise to immediately start me on the road to relief and better health. Dr. Rawlings and his staff are wonderful. Knowledgeable, friendly and very compassionate. Thank you for the wonderful care! I feel so much better, some of the friendliest people you will ever meet. I was very pleased he had an x-ray machine in your office I wanted to see what was really going on with my back and neck. I am confident I’m on the right path and I have chosen the right healer and guidance to get me back into balance. I am always greeted warmly. The treatment I receive is painless and effective. Truly, if not for the care given me by Dr. Rawlings, I would be unable to sit comfortably for more than a few minutes much less continue my weekly gym routine. Everyone is very nice and professional. My neck and shoulder pain is completely gone. Dr. Rawlings and staff are fantastic! I would highly recommend Dr. Rawlings for any back injury ~ he works miracles and the staff is always friendly & helpful. I’ve been a patient of Dr. Rawlings for well over 20 years. He’s helped me so much with my back pain. I would recommend him to anyone who needs help with pain and their over-all health. Dr. Rawlings is one of the gentlest men around. His is sympathetic and really listens to you. Everyone in the office is kind, friendly & caring. Dr. Rawlings is great. Professionals yes, but also fun people. Love this office. Every time I see Dr. Rawlings I come out feeling better. Great doctor, great office and awesome staff! The best family chiropractic experience ever. Keep up the amazing work!